Bitrix24 is proud to announce the Bitrix24 Xmas release. 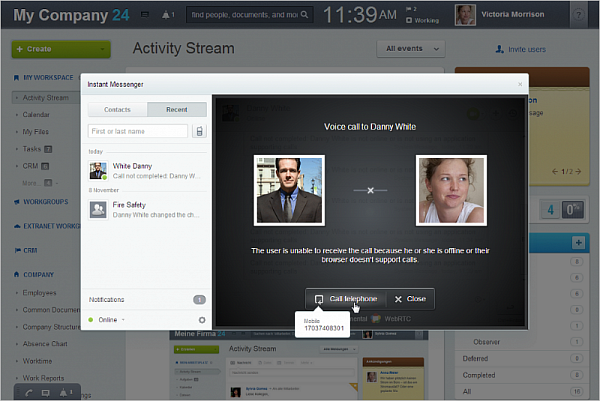 Integration with Zingaya’s VoxImplant.Com allows you to make web phone calls directly from Bitrix24 at prices that are lower than Skype's. 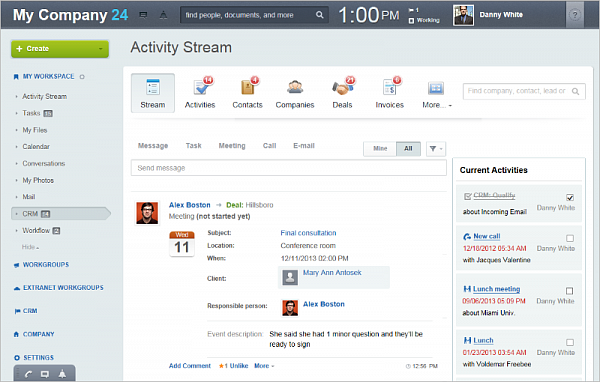 You can also record phone calls that you make from the Bitrix24 CRM. You can now easily add notes to any CRM record, view all recent CRM activities, add comments, and upload files from a single entry point. 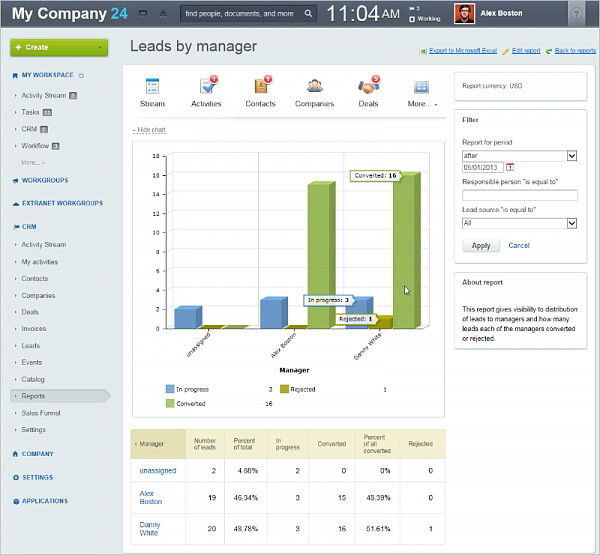 New CRM Reports (Leads, Activities, and Invoices) let you see how well each member of your sales team is performing, wh ere your leads are coming from, and wh ere your high-margin ‘sweet spots’ are. 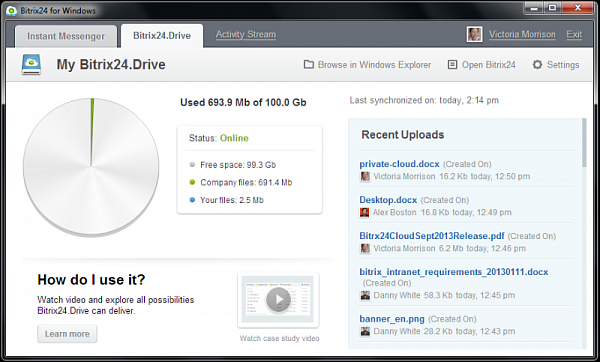 Bitrix24.Drive now works with Group files, in addition to Personal files. Company files will be added shortly, letting you replace your file server with Bitrix24. Users who switch to Bitrix24 Professional until Dec 25 will get 1 TB of disk space for their accounts. 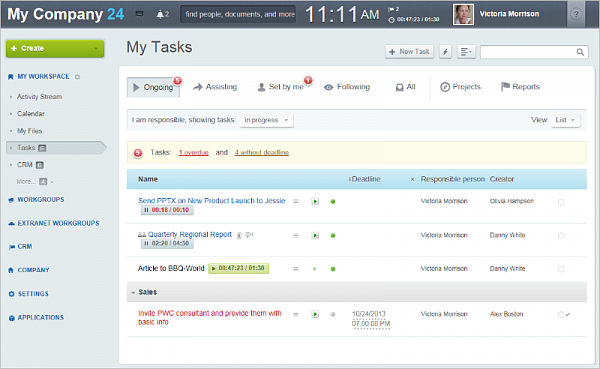 The new Task counter and Employee Workload Planning in Project Management let you finish more tasks on time and identify which ones are getting dangerously close to being overdue. 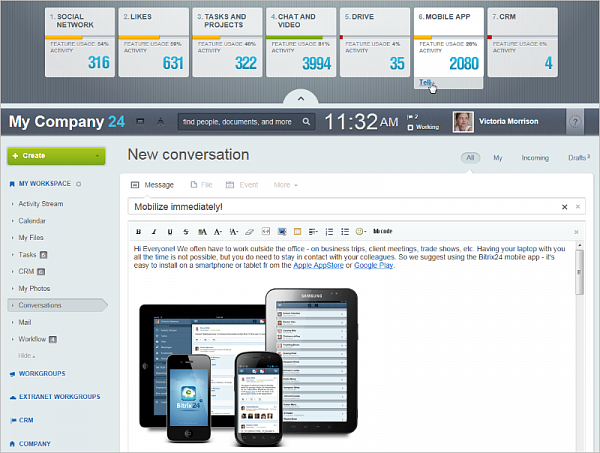 Supervisors can now allocate how much time should be spent on each task and then track actual time spent completing them. Bitrix24 admin can now turn off unwanted features for all users (CRM, Extranet, Time Tracking, Meetings, Lists), making your Bitrix24 account navigation less confusing and providing access only to the tools your company actually uses. 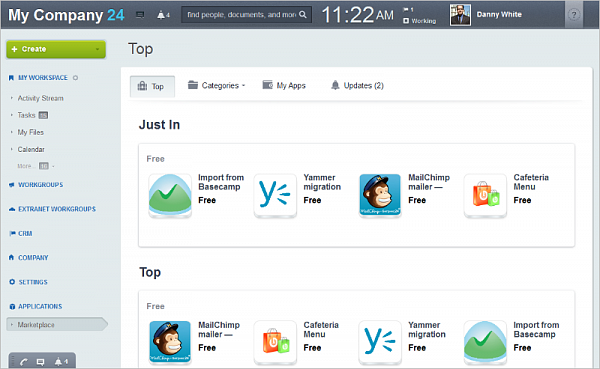 You can now use MailChimp with Bitrix24 CRM and migrate to Bitrix24 from Yammer and Basecamp. The Bitrix24 mobile app now works when no internet connection is available or the connection is too slow. 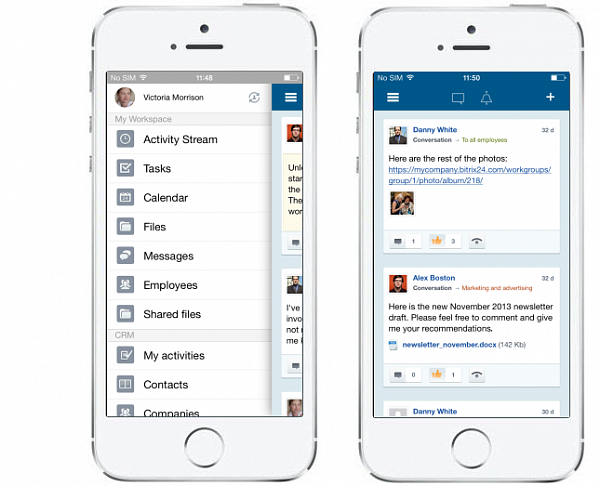 The app will automatically synchronize data when a reliable connection is established. Bitrix24 account administrators can now send out pre-made messages to all or selected users that clarify how each of Bitrix24 tools work, increasing employee adoption rates and engagement. We will cover these new features and how they benefit you in the upcoming blog posts and in a webinar on the 13th at 10am ET. Meanwhile feel free to check out our Xmas specials we offer to Bitrix24 users during the holiday season.